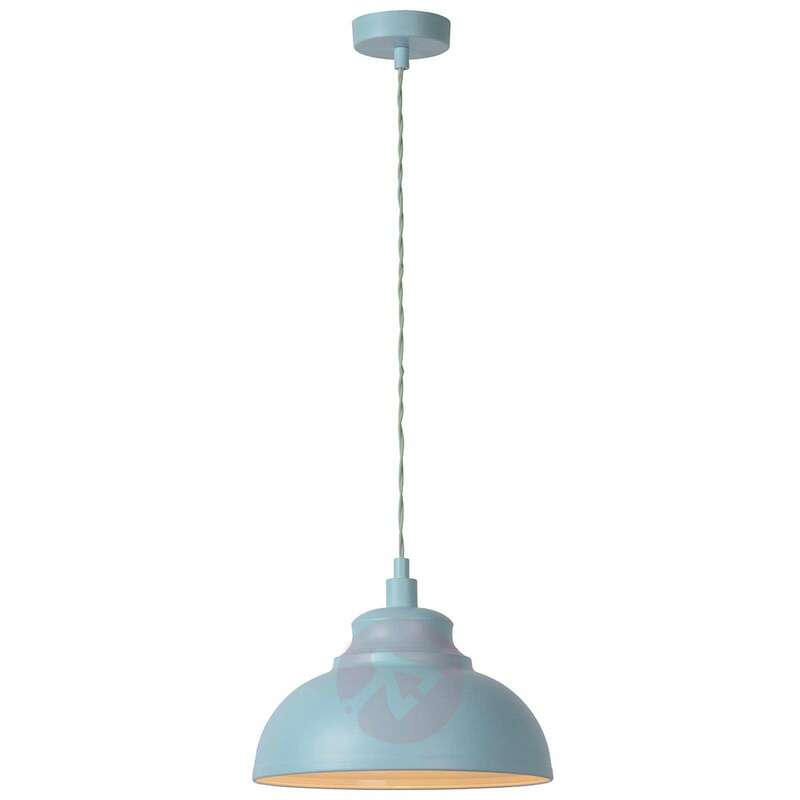 Cosy lighting for a table or bar in the kitchen or dining room – meet the Isla hanging light, made from metal The metal lampshade ensures that light can only escape downwards. The white interior strengthens the light effect. Meanwhile, the blue, silk matt finish on the lampshade lends the Isla hanging light a slightly nostalgic look. It's a beautiful light it looks get in my kitchen the only problem is finding a suitable bulb that throws out enough light. I wld have given it s higher rating if that was the case. 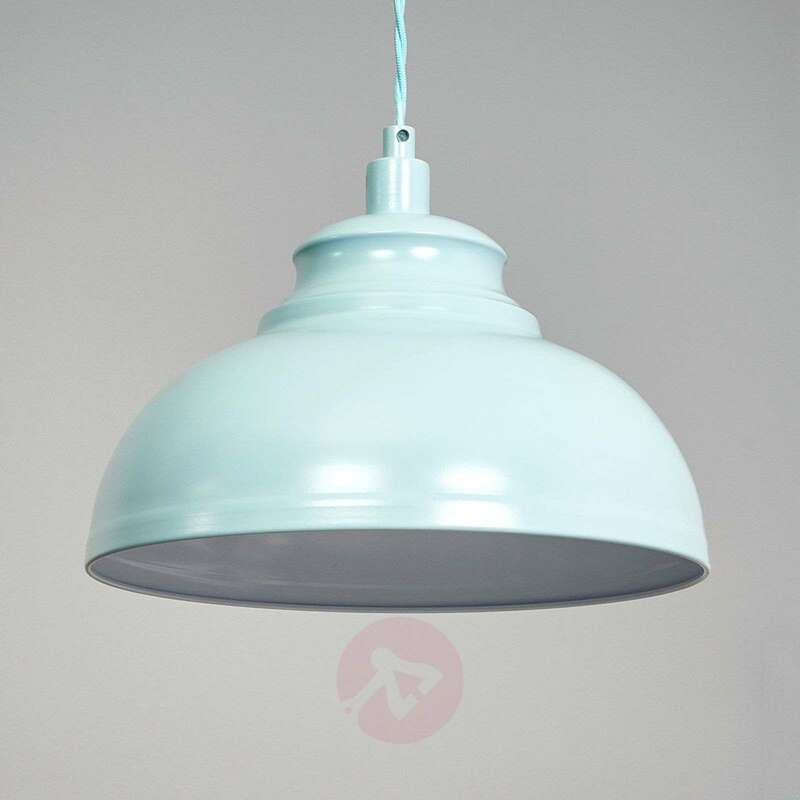 Thank you for taking the time to review the Isla pendant light. 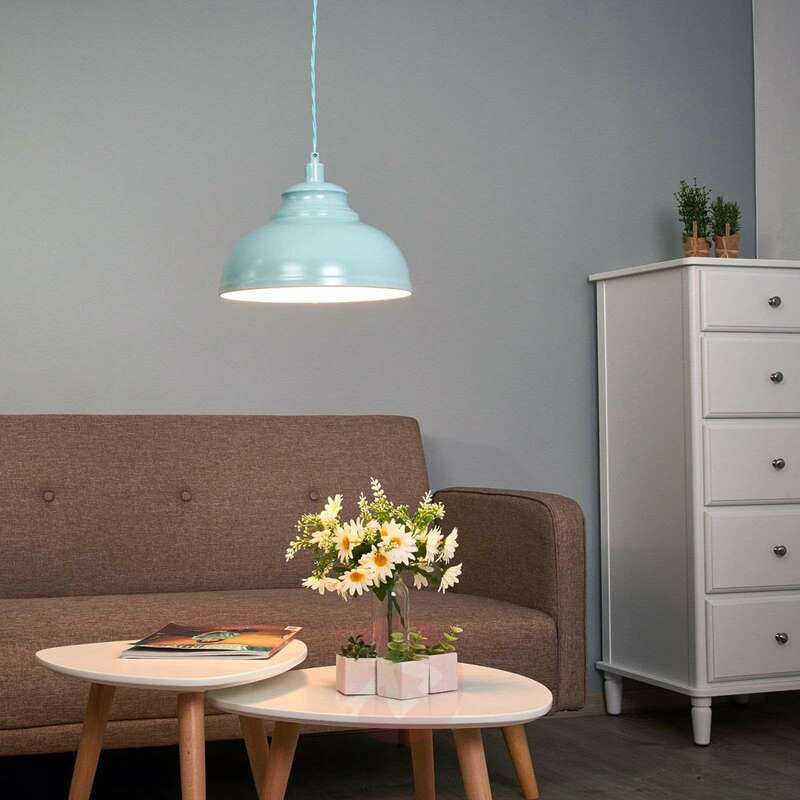 The luminosity of the light fitting will be determined by the bulb you use. In this case please use an E14 bulb which consumes 40 W or less of energy. 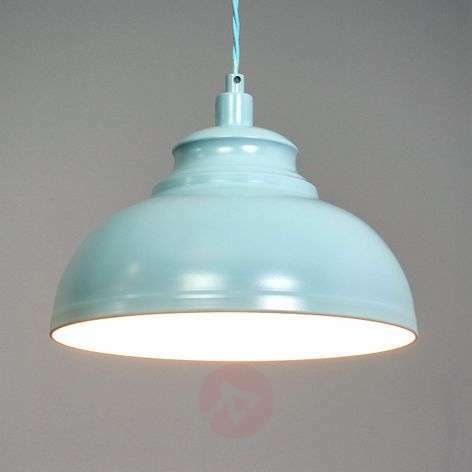 We are sorry that you are not happy with the brightness of the bulb you chose for this light fitting. If you would like to return the fitting for a full refund please do not hesitate to contact our helpful customer service team who will gladly assist you with the process.